PACKMASTER 7 is dimensionally stable and firm, has high density, and is constructed from PTFE continuous filament. 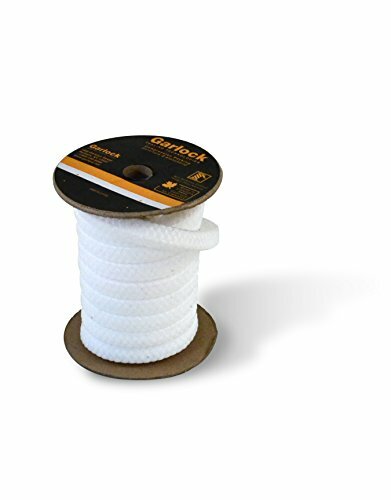 It's PTFE dispersion provides a low friction surface and prevents leakage through the body of the braid. Although designed for slower shaft speeds, it is an excellent valve stem packing; resistant to almost all chemicals (except molten uranium salts), completely free of asbestos and with very little water absorption. This packing is frequently used in check and needle valve stems, reciprocating rods, rams, and plungers, agitators, secondary side of pressurized reactor systems, safety injection system valves, as well as lower speed rotary and centrifugal services. The Garlock family of companies is acknowledged as the global leader in high-performance fluid sealing and pipeline protection products for industry and infrastructure. Founded in 1887 and headquartered in Palmyra, NY, Garlock has 18 global operations employing more than 2,000 people.